A few years ago one of my friends on a now defunct site revealed to me that she was the mother of one of the founder's sidekicks. During the last months of the site's life she asked me if I'd like to help out. The owners had lost interest somewhat and members were complaining that nothing was being done about posts that had been reported. She gave me a code which enabled me to delete inappropriate posts if I saw fit, and even to delete the offenders' accounts. They were mainly scammers or people trying to promote their businesses, though there was the occasional offensive one. When I saw anyone complaining that posts were still there after they'd reported them, I told them about a supposedly 'hotline' that I'd come across. If they used it instead of reporting in the normal way, those posts would get the attention they deserved. In effect this hotline came straight to me, but I was asked not to divulge that. 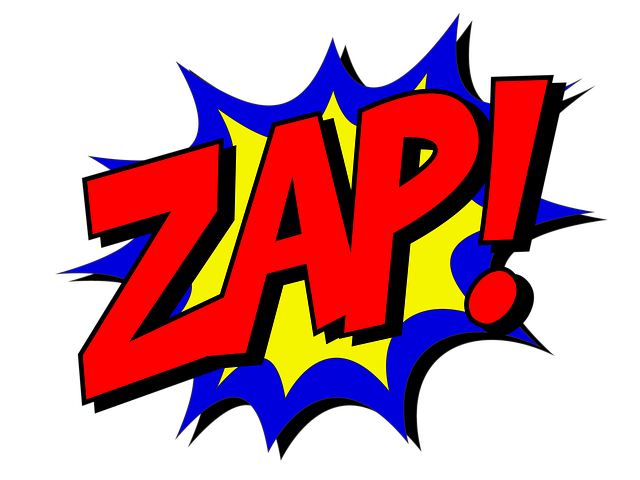 I did enjoy dealing with those scammers though - ZAP - goodbye! I did not know you helped on those site, what a shame, I have reported dozens of scammers and never got a reply. @jaboUK I remember they appointed an official Moderator. I quit a few months before the site went down. I could not stand their abusive attitude anymore. @LadyDuck Yes, you were probably gone by the time I did this. Elaine was good as a moderator though. (I don't think she knew about me doing this). @jaboUK Elaine was good, they should have appointed a moderator earlier, the site needed more than one. @jabouk That must have felt so good. It would make me feel so righteous zapping a member of that perfidious class of person. Myself and another lotter used to be a part of a chat site and we became moderators. Actually, I think myself and two others sort of suggested to the administrator that he (this lotter) would make a good moderator. He logged in one day to find that he was a moderator. It's been so many years I can't recall the specifics. It always felt so nice to get rid of those annoying scammers or spammers. So you know how I felt - it was great to be able to do it, wasn't it? Wow! I never knew that Janet. I had stopped using that defunct site months before it closed. I hope you did zap a lot of scammers. I managed a fair few, but even the scammers were fading away towards the end. Nobody knew I was doing it, I never told a soul till now. @jaboUK I'm watching you very carefully now Janet. @Gillygirl Oh I haven't got any 'ins' on this site . I know no-one in admin. That is amazing! You sure do keep a good secret, and that’s very commendable. Glad you dealt with those scammers. Too bad you couldn’t do it here, too, although it doesn’t seem too bad here that I’ve noticed. @jaboUK Yes, this site keeps on top of things. No harm telling about it now at all. By the way, did you hear the news that Notre Dame in Paris is on fire. We are watching it on CNN. Just horrible!!! For a while there it's like you had a fly swatter for scammers . It must've felt good to ZAP the unwanteds out ! That's an excellent way of putting it - a fly swatter for scammers! @jaboUK Just curious - though you don't have to say if you don't want to . . . was it that B site? I had similar powers on another site, where I was an editor. I have since stopped going to that site and actually closed my account down. I found that although the pay (points system) was nice, the work was a bit more then I bargained for. Oh that's a bit different to just doing a bit of zapping . I wasn't getting any reward for what I was doing, just the satisfaction of seeing those scammers disappear. That sounds a tad like one Valerie and I were on long ago that also paid in points although the moderators didn't have the power to zap anyone that I know of. @MarshaMusselman We were called editors, not moderators, so it probably wasn't the same site. I did it for at least 5 years before I closed my account. So for a short period of time you had a super-power? ZAP!!!! That would be rather satisfying! @jaboUK I would love that too. I am a member of several groups on Facebook and not long ago one of the groups needed a moderator. I thought about it but was afraid it would take a lot of my time. I wish I had applied now. @simone10 I wouldn't want to do it as a proper moderator, as you say it would be too time consuming. You happened to have such a friend in the site ! You ridded the site of some scammers in a way.Would you tell me what the ZAP is? @jaboUK Thank you for explaining it to me ! That's good you were able to deal with them. Yes, it was very satisfying. @jaboUK I'm sure it was. This was Bubblews . It was fun seeing those scammers vanish. @jaboUK I used to report left right and centre but with no effect. Wish you did that earlier then the site would have survived. That would be an interesting job. Well it wasn't really a job , but yes it was interesting. @jaboUK Well, a good past time maybe. At least those door-to-door people are mostly gone now. They are such a nuisance, aren't they? I didn't realize you knew anyone or that any members were helping in any way. I'm guessing that was the infamous B site? If I knew the mother of the sidekick, I didn't know of that either. They could have had many more zappers that's for sure. I think I was the only zapper that wasn't part of the admin (apart from my friend). That's awesome you helped out that way! Did you get to earn any money for it? No - no rewards of any kind were involved. I just did it to help out.